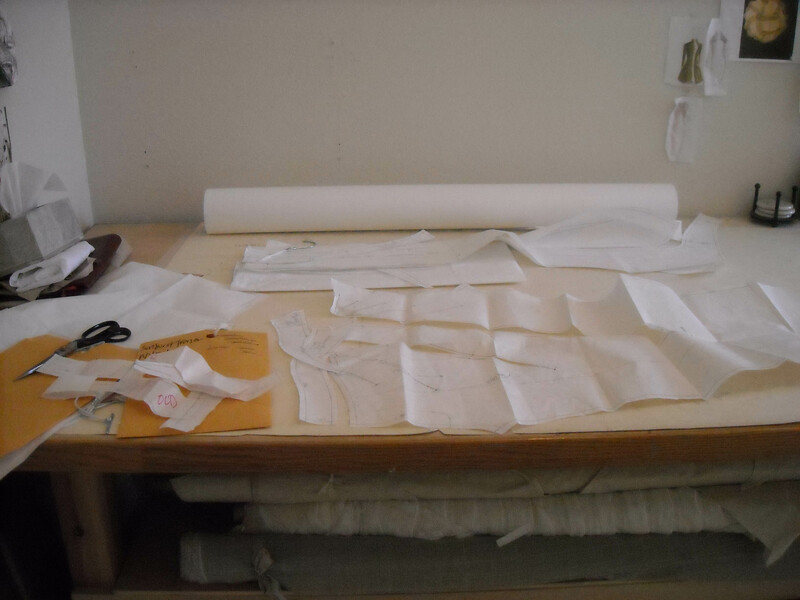 We only made one half of a toile because we were concentrating on design details and seam lines instead of fit for this first toile. 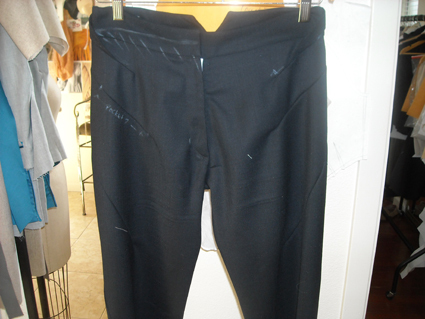 We moved around darts, changed the shape of the waistband, and added pockets. 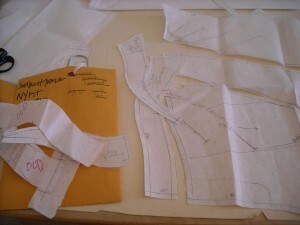 Here are alterations being made to the patterns. Then, we cut out another trouser for another toile, this time to be fit. 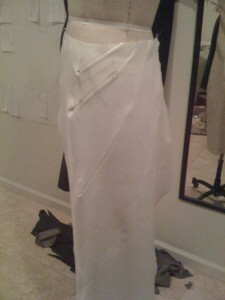 We have made the minor changes to the pattern, and the final trousers need to be cut and sewn.